People, Man, or as plant prodigy Carl von Linné named us, Homo sapiens sapiens came to being some 200.000 years ago in Eastern Africa. About 50.000 years ago, people started migrating to the rest of the world. At that time Scandinavia was burdened by the ice of the last Ice Age. The Ice Age lasted until 10.000 years ago. Scandinavia is still returning back to pre-Ice Age conditions. The land is rebounding one centimeter per year. What was coastline some time ago has become inland. 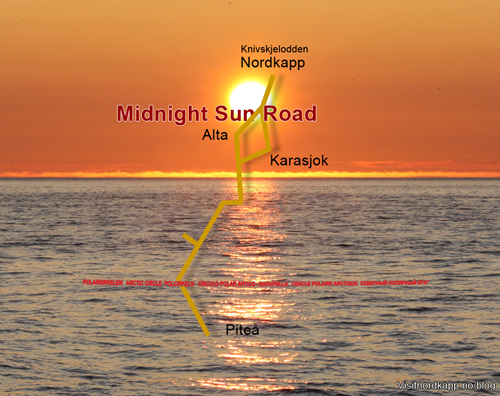 We experienced proof of this in Gammelstad, Sweden in 2012. And it is also part of life at Alta Museum. 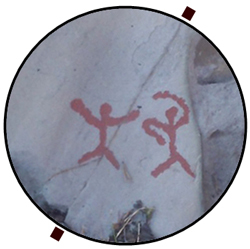 The first proof of creative man at 70 degrees north can be seen in Alta. 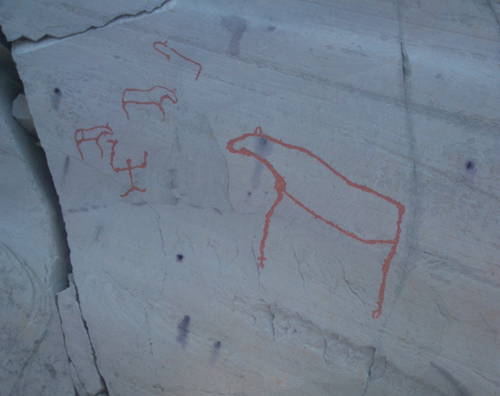 In 1973, people from Alta discovered some rock carvings 5 km southwest of the Alta center. Scientists say that the rock carvings have been made over a fairly long time, from 5.000 BC until the time of Jesus Christ. 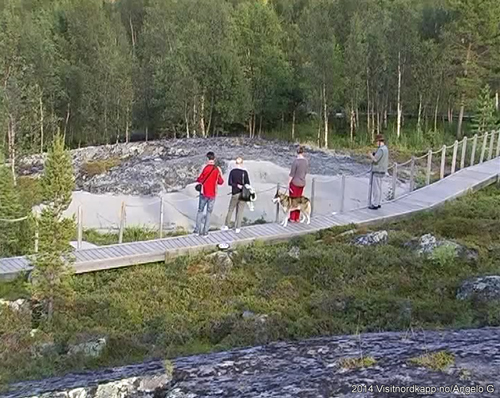 You can walk among thousands of figures at the open-air part of Alta Museum. The rock carvings were included on the UNESCO’s world heritage list in 1985. Ms. Katarina Bellika is working as a guide at the museum in the summer. She is explaining about the museum. The rock carvings are very interesting and informative. They show a great variety of activities people in the old days had. We also have a fair understanding on what ages the carvings were made. You can either participate in a guided tour, in a fold of different languages. Or you can use our guide book and listen on a rented audio gadget. There are four versions: French, German, Norwegian, and English. The rock carvings are under the snow in the winter. Then you can still follow the tracks back in time inside the museum. The museum has an exhibition about the history of Alta and a discussion on who chiseled the carvings, says Katarina. We can only make educated suggestions. The engravings are painted red to make them more visible, and they are now being renovated. After a short visit, we went back to the center of Alta, to take a look at a new extraordinary building.